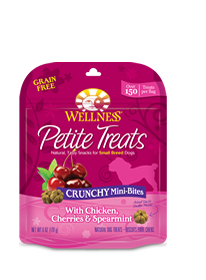 Wellness® Petite Treats Crunchy Mini-Bites With Chicken, Cherries & Spearmint are sized just for Small Breeds, and have a flavor even the pickiest pooch will love! 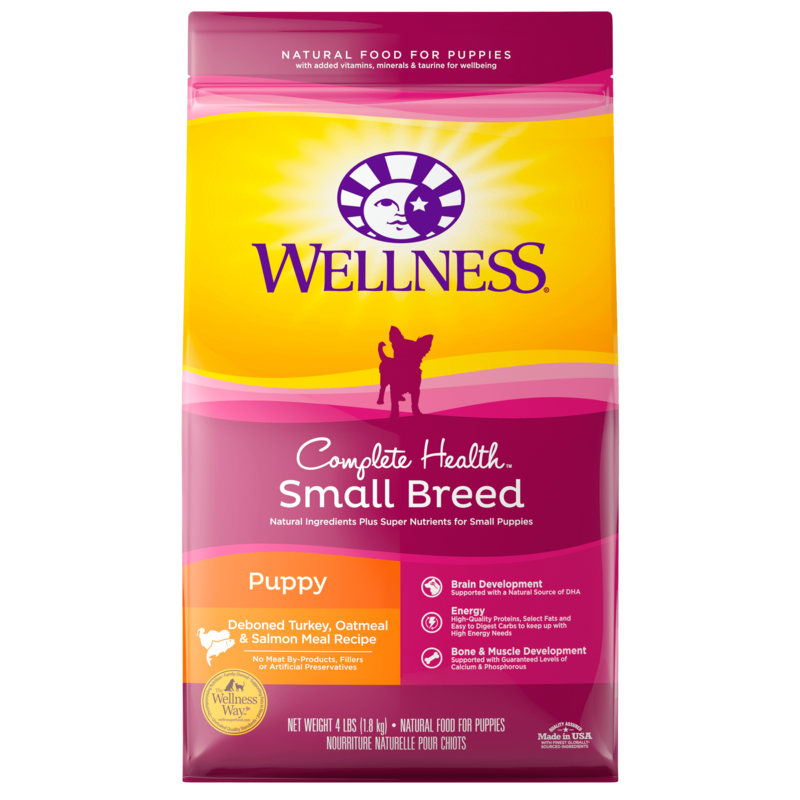 OUR INGREDIENTS: Chicken, Chicken Meal, Dried Ground Potatoes, Tapioca Flour, Cane Molasses, Chicken Fat (Preserved with Mixed Tocopherols and Citric Acid), Pea Fiber, Cherries, Flaxseed, Spearmint, Mixed Tocopherols added to preserve freshness, Rosemary Extract. 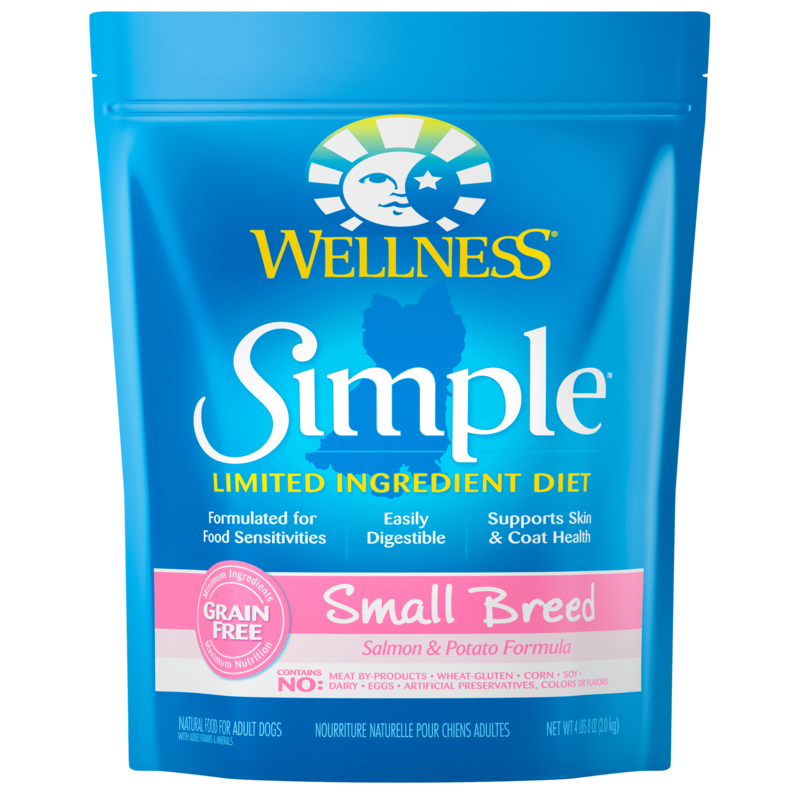 Calorie Content: This product contains 3,400 kcal/lb or 3 kcal/piece ME (metabolizable energy) on an as fed basis (calculated).